Jesus is crucified to save you from sin to forgive and to restore you to the LORD God Almighty Yahweh. Jesus went into Jerusalem knowing He will be crucified as prophesied in Bible after riding on a colt bravely to die as God sent Him to do on the earth to save mankind. Jesus is welcomed by large crowds from all over the world gathered for passover feast of unleavened bread. So crowd held palm branches and waved and sang as Jesus arrived as king on colt. They shouted hallelujah and spread garments on the streets for Jesus to ride upon as a sign of honour and respect. This was foretold in the Bible that the Messiah will enter Jerusalem riding on a donkey. Passover feast season is annual time faithful loyal worshippers gather together for 3 times each year in Jerusalem to worship God. Jesus triumphantly entered Jerusalem knowing fully aware of what lay ahead of Him. In Luke 4:18 Jesus declared, the Spirit of the Lord is upon me, because God has anointed me to preach the gospel to the poor; God has sent me to heal the broken-hearted, to preach deliverance to captives, recovering of sight to the blind, to set at liberty those bruised. Mankind’s heart broke since fall in Garden of Eden so God sent Jesus to restore faith in God. The triumphant entry of Jesus is significant because all nations represented by congregation in Jerusalem. Came from all nations under heaven, most devout Jewish proselytes, disciples, apostles, secret loyal followers converts to Christianity accepting Jesus as appointed Messiah of God. 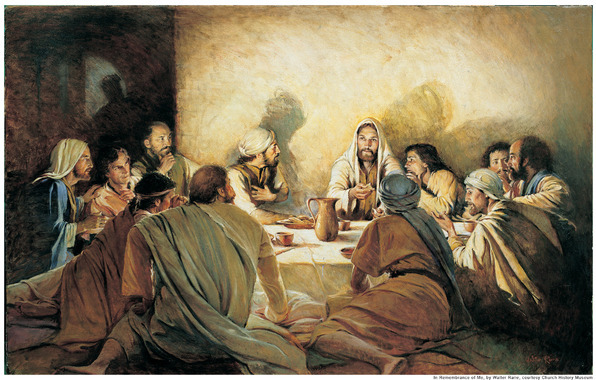 Jesus had last supper with 12 apostles and identifies the traitor who betrayed Him for 30 pieces of silver Blood money. In the moment Jesus needed their support most, they let Him down and fell asleep in the garden of Gethsemane so God sent an angel to minister to the Messiah. Some like Peter later denied Jesus 3 times during His trial, while other apostles and disciple run and hid in fear for their lives. Why would anyone want Christ to die when He did Good by saving people, healing and delivering them from all destructions and all works of the devil over lives. 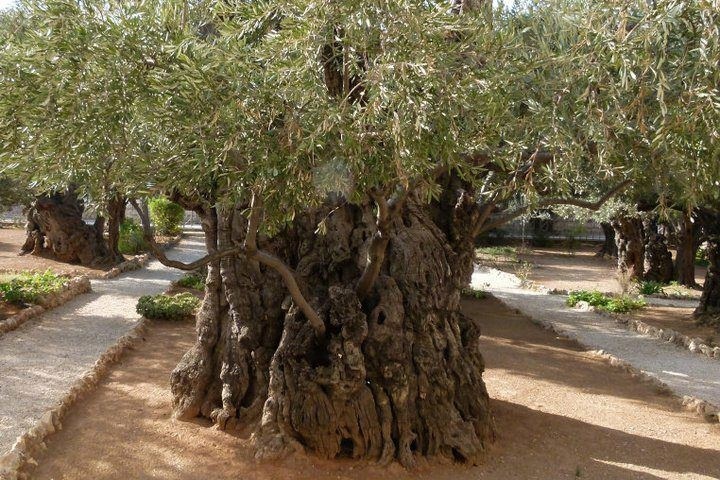 In Matthew 26:30-46, in Israel in Jerusalem on Mount of Olives, these Olive trees are in Garden of Gethsemane next to The Church Of All Nations. The Garden of Gethsemane is located east of Temple Mount, east of Kidron Valley, on lower portion of western slope of the Mount of Olives. Tested with carbon 14 is over 2000 years old. It was here Jesus regularly prayed in the garden belonging to Nicodemus or Joseph of Arimathea. Jesus took time away from the crowds to pray to Father God. During Jesus’ intense moments of preparations He took Peter, James and John to pray. They fell asleep 3 times and did not empathise as Jesus expected so God sent angel to comfort Jesus. God sends angels to comfort people in stressful time of need. Jesus prayed to seek God’s face for wisdom, courage and power to do God’s Will in total obedience. In Gethsemane Jesus sweated Blood through intense prayers for Strength to endure the cross at Calvary on Golgotha in Matthew 26:40-46. Jesus prayed in agony for the remission of sins for the salvation of mankind. Though abandoned alone, God sent the angels to be with Jesus. Easter shops are busy selling Easter eggs and chicks but reflect on important Sacrifice to appreciate Christ with gratitude. 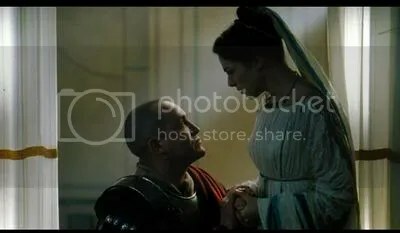 God warned Pilate’s wife Claudia in dream but ignored warning to agree with elders, crowd, religious people to crucify Jesus. Christ gave us the greatest gift of eternal life and restored us to God with salvation as a priceless asset to all. Jesus suffered and took our pain and was tried 7 times by leaders: Annas in John 18:12-15; 19-28, Caiaphas in Matthew 26:57; 59-68, Sanhedrin in Matthew 27:1, Pilate in Matthew 27:2; 11–14, Herod in Luke 23:6-12. Pilate in Matthew 27:15-24, stated beloved people Jesus ministered were misled by Scribes and elders due to envy. Influenced in Matthew 27:24-31 rejected Messiah and shouted crucify Him and let His Blood be on us and our children. Jesus heal and reconnect people to God giving His life as ransom for many. Talk of the ultimate betrayal by people loved, sacrifice for, provides for, cares for and died for hurting one so deeply. 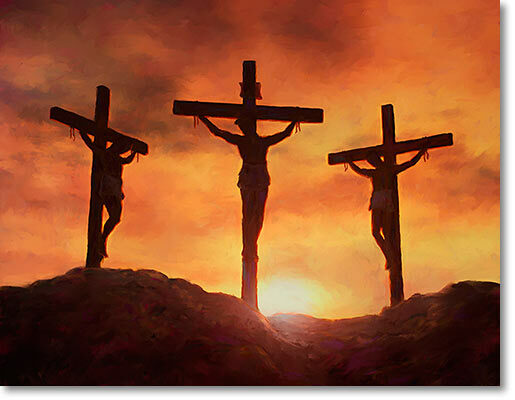 Yet the Messiah did the same and even forgave His enemies on cross by praying. Jesus said, Father, forgive them for they do not know or fully understand the Messiah came to save them. Above all, Christ the most compassionate person, with greatest love for us gave His Life for Barabbas and all in exchange for sin. In response to Christ’s deep love for us we give thanks with appreciation, gratitude, humility, thanksgiving for His Sacrifice. Christ died to save us yet falsely accused and tried. The devil had no idea Jesus will truly resurrect as He told the disciples so thought Jesus death will end God’s work. The more we dwell on Christ Love, it is really surprising such a genuinely true friend is rejected and condemned to die in place sinners. Yet everywhere He went He was doing good, a Mighty Healer, He cleansed the lepers, when the cripples saw him, they started walking, everywhere He went my Lord was doing GOOD. Jesus has done so much Good to help people who do not make Him the Centre of Joy yet Jesus suffered to save all people. The most precious gift value in life is miracle of salvation so cannot be ignored. So much time is spent, wasting time on things of the world perishing. 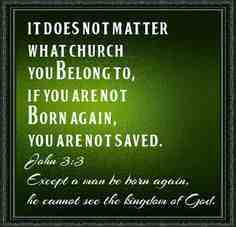 Remember the earth will be regenerated to get rid of those who reject Jesus. Christ chose to redeem us by giving His Life because He Knew He conquered death and won the victory for us. He could have called on the angels and the Heavenly Host of God to deliver Him from going through pain, grief and sorrow but decided to go through it by taking our place to save us. Christ fully understands all we go through and cares deeply for us even if we face challenges.We have Peace that passes all human understanding with God through Christ Jesus. 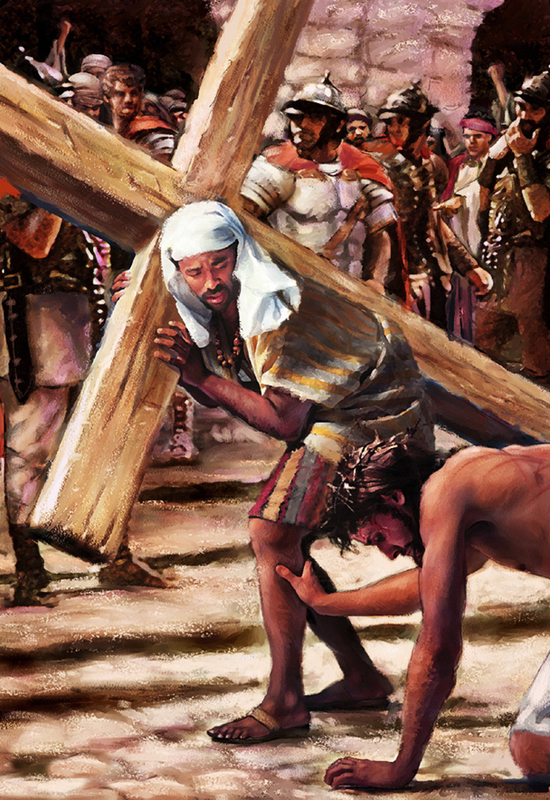 Christ did not give up but accepted help from Simon of Cyrene to carry the cross for Him. In life all needs someone to help carry their cross or burden when the going gets too tough. Jesus humbly received help yet could pray for strength like Samson to carry the cross by Himself. Christ set good so alright to ask and accept help in tough moments for God’s Help us in Jesus name. Jesus is real so must be taken seriously, not made fun of as if not relevant today. Jesus crucified His flesh by denying Himself of fleshly distractions by focusing on God and helping people though His Ministry. 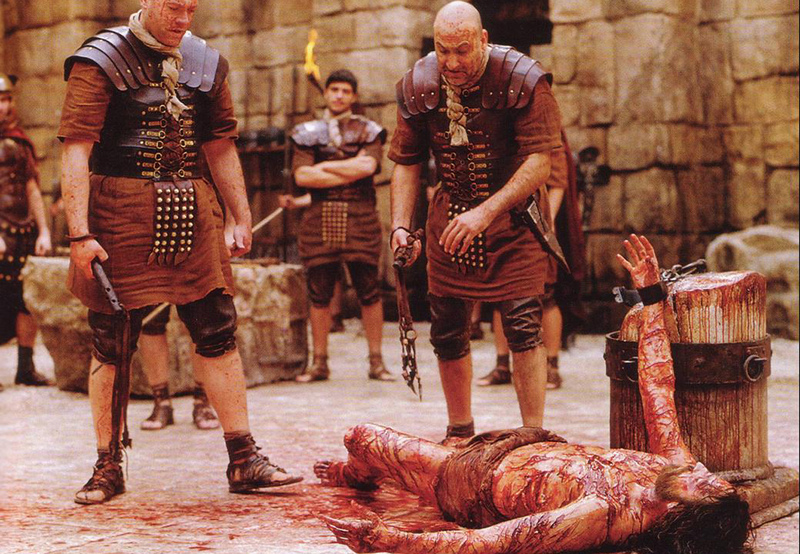 He took all our punishment upon Himself and asks of us to crucify our flesh too. By crucifying His flesh for mankind, Christ set the perfect example to look up to God for Strength to endure to the end in Jesus Name. Christ could accomplish His mission to die and resurrect to save lost without help. Christ showed we all need help at some point in life to open up, seek, receive help like Jesus. No matter challenges, it should not be allowed to consume one due to pride, fear, shame or other’s opinion. Help is available through prayer in Jesus Name. God’s mercy and forgiveness, extends to man’s crucified with Christ saved. Carnal flesh is not useful in Heaven spiritual place. The world places importance on flesh which passes away. Glorifying flesh, entertaining, putting it above God, excessive indulgence will NOT bless soul. Even on the Cross Jesus saved robber. There was an earthquake, tombs broke open, and the curtain in the Temple was torn from top to bottom for all to enter the Presence of God through the Blood of Jesus. The dead arose out of graves and were seen by many. 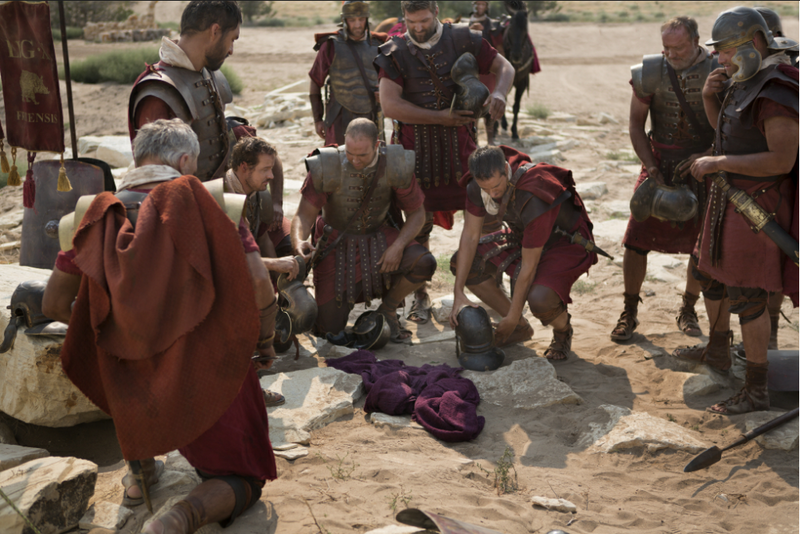 The centurion on guard at the site of crucifixion were shaken to the core some repented to become disciples. He was wounded for our transgressions and by His Stripes we are healed spiritually, emotionally, physically for changes noticeably. Amazing gift of eternal life makes it possible to live in eternity in spirit. Soldiers gambled Jesus garments. Life of mankind can cope without God because He sent Jesus to save believers from hell. It is serious to note Sacrifice of Jesus still saves souls so makes difference in life. So world needs people to be delivered from hell to save them for eternity in Heaven. Hell is real because Jesus went and took away keys of death to give all born again believers abundant life in victory in Jesus Name. God’s gift is still available to all to be saved because it not God’s will anyone should perish. Salvation urgently matters so consider it because what shall it profit mankind to gain whole world to lose soul. Christ already made provision for salvation for all. God’s salvation plan for mankind is to return to God, repent, value, appreciate and receive Christ Sacrifice for forgiveness by God. Jesus has already been crucified for all sins so there is no need to crucify anyone else for God so loved the world He gave His Only begotten Son Jesus Christ all who believe in Him will not perish but have everlasting life.God blessed mankind with Jesus, so all who accept, receive Christ are saved believers in Jesus Name. What a privilege and honour to be called Children of God. The Choice Christ made gave us the privilege to receive pardon and be forgiven of sin, guilt, shame, iniquities. After crucifixion on 3rd day, Jesus arose from dead. Christ appeared to Mary and others before He went to Heaven on Mount Olive. Praise God Hallelujah for Christ Jesus Victory for us in Jesus Name !!! It is really amazing that Christ had the Strength to pray and ask Father God to Forgive people who treated Him with cruelty. 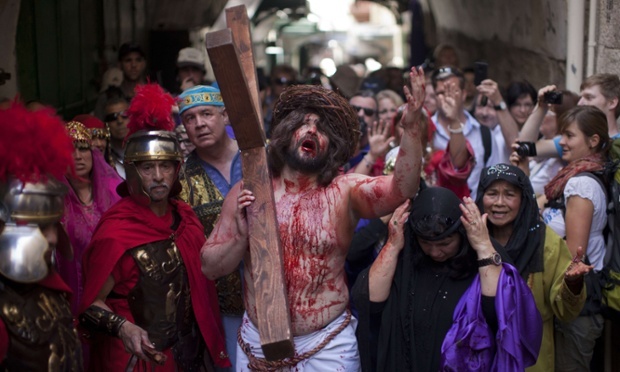 Sad Christ Sacrificed all to save but not Highly esteemed by all. Jesus triumphantly and boldly entered Jerusalem, and was welcomed and celebrated by the people singing Hosanna yet soon same people rejected Him and shouted crucify Him. Although seemed mankind connived to kill Jesus, in reality nobody could kill Jesus without Jesus laying down His life as a ransom for many. Yeshua’s death blame placed exclusively upon Jews, with accusations of “Christ Killer” fuelling the fires of anti-Semitism over the centuries is not true, The record of Yeshua’s trial shows Yeshua did not receive a trial by jury. In Jewish law, the judge would hear and evaluate accusation from two impartial witnesses. If two or three witnesses would agree, the judge would issue a conviction; but in Yeshua’s case, the witnesses against Him presented false testimony. “The chief priests and the whole Sanhedrin were looking for testimony against Yeshua to put Him to death, but they could find none. For many were giving false testimony against Him, but the testimonies did not agree in Mark 14:55–56. Because the testimony of the witnesses did not agree, the judges could not convict him. Thus, the Sanhedrin had no other choice but to ask Yeshua directly if He claimed to be the Messiah, the Son of God a charge to which He confessed, thereby positioning Himself as being guilty of blasphemy, which carried the death penalty.“Again the high priest questioned Him, ‘Are You the Messiah, the Son of the Blessed One?’“‘I am,’ said Yeshua, ‘and all of you will see the Son of Man seated at the right hand of the Power and coming with the clouds of heaven.’“Then the high priest tore his robes and said, ‘Why do we still need witnesses? You have heard the blasphemy! What is your decision?’ “And they all condemned Him to be deserving of death in Mark 14:61–64. 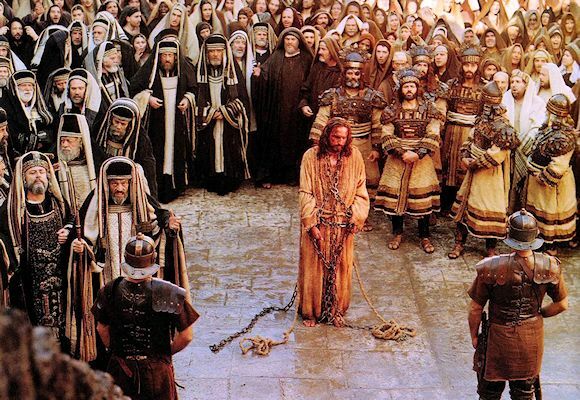 False Witnesses interrogation essentially reveals that neither the Jewish Sanhedrin nor the Roman authorities could have killed Yeshua without His cooperation.Even some of the Roman soldiers came to believe that Yeshua truly was the Son of God. “When the centurion and those with him, who were guarding Yeshua, saw the earthquake and the things that had happened, they were terrified and said, ‘This man really was God’s Son! in Matthew 27:54. Jesus willingly gave the authorities the “confession” they needed to condemn Him to death but Yeshua lay down His life of His own accord to save us from our sins as the promised Messiah. He said by His own words, “The reason My Father loves Me is that I lay down My life only to take it up again. No one takes it from Me, but I lay it down of My own accord. I have authority to lay it down and authority to take it up again. This command I received from My Father in John 10:17–18. When Peter took up the sword to defend jesus by cutting off a soldiers ears Jesus stopped him and healed the soldier. Christ proved He did not need anyone to defend Him or kill others on His behalf in His Name for vengeance. This entry was posted in anti-Christs revealed, Armageddon End-Time News, Because of people, Blacks give birth to whites, Book of Life, CALVARY VERSUS CAVALRY, Christianity, COVENANT LOVE, Endtime cloud messages, Give thanks to God, God Comes Back on Earth, God is love, GOD LOVES YOU, GOD WILL TRANSFORM EARTH, God's 44 visible presence on earth, GOD'S DELIVERANCE, GOD'S Love heart scenes, GOD'S THRONE IN HEAVEN, GODLY JOY IN YOU, Good Overcomes evil, Heaven connects to earth, If God be for us who can be against us, JESUS IS THE REASON FOR THE SEASON, Jesus is the Rock of Ages, Jesus Rapture Song, Jesus REIGNS 1000 years on earth, Jesus' Blood Cleanses and Purifies from sin, Joy in God's Presence, Life Echoes in Eternity, Love of money is root of all evil, Messiah in Hebrew Scriptures, Messiah Living Water,, Obedience to God,, ONLY GOD KNOWS THE TIME, Only JESUS Saves, Overcome loneliness today, pay attention, Peace with God, Quality family time, Racism is against God, God hates racism, Racism attacks God's Creation, Do not be a racist, Rapture into heaven, remnant naked but not ashamed, submit to God, The Mystery of God, We all have One Father God,, YAHWEH GOD FORGIVES and tagged Father forgive them, Healed by stripes of Jesus, Jesus accepted help, passion of Christ, resurrection, Salvation is the greatest miracle, Simon of Cyrene carried Jesus cross. Bookmark the permalink. 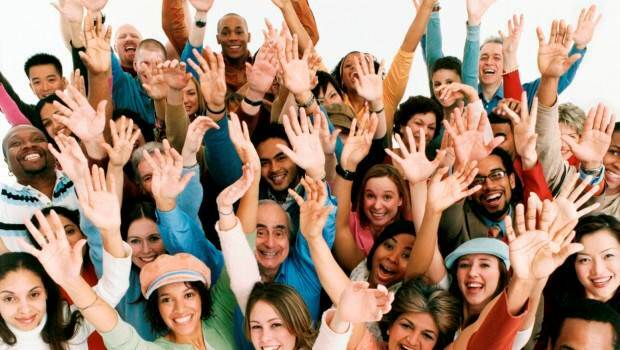 Hi there to every , because I am really keen of reading this website and the posts are updated regularly. It carries good stuff. wonderful. I really like what you have acquired here, certainly like what you’re saying and the way in which you say it. You make it enjoyable and still take care of to keep it smartly. I cant wait to read much more from you. Good info. Lucky me I ran across your website by chance (stumbleupon). I’ve book marked it for later! Hello! I’m at work browsing your blog from my new iphone 3gs! Just wanted to say I love reading through your blog and look forward to all your posts! Keep up the great work! Thank you for your doing God’s works, my God will never leave you in Jesus name, amen. Thank you for your support and encouragement. We give God all the Glory and thanks for His Son Jesus sent to redeem and save us all in Jesus Name. God bless you.